McALLEN — After a sigh, a plea and hundreds of thousands of dollars, the city is looking to bring fire dispatch services back within its city limits. Because of a decision made “five or six years ago,” McAllen pays Pharr to outsource its fire dispatch calls. This year McAllen paid Pharr $150,000 for the service, which is called Firecomm in Pharr. The decision made several years ago was made to cut costs, but the price the city pays has escalated over the years. The rising cost concerned City Manager Roel “Roy” Rodriguez, which is why he proposed “bringing fire dispatch back to McAllen” to city commissioners on Tuesday during the first day of the city’s 2017-18 Fiscal Year budget workshops. Bringing dispatch back would not cost anything, Rodriguez said. 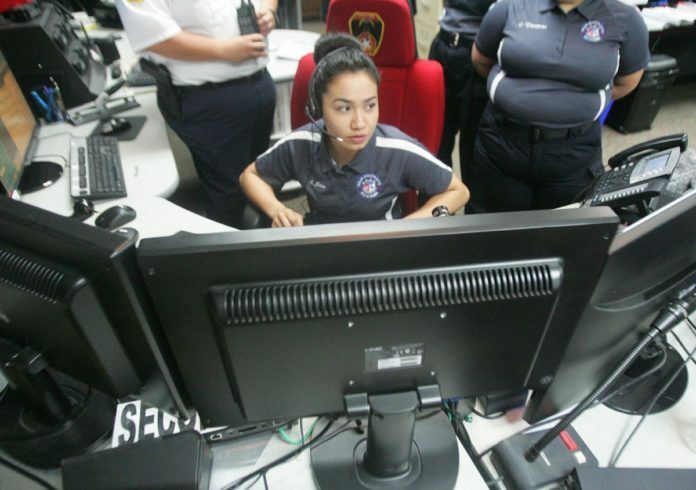 Meanwhile, Pharr is looking to merge its 9-1-1 call center and put the fire and police dispatch teams under one roof, in an attempt to reduce phone call transfers when citizens call 9-1-1. Currently, Pharr’s Firecomm receives more calls from McAllen than Pharr. From October 2016 to July 2017, Pharr Firecomm received 8,846 calls for service. Of those calls, 6,030 came from McAllen while 2,545 were from Pharr, Pharr Police Chief Ruben Villescas said. The merging of Pharr’s police and fire communications teams is a proposal right now. It will be up to Pharr city commissioners whether to move it forward. McAllen’s decision to potentially reinstate fire dispatch within its city limits could possibly change Pharr’s plans. Villescas said there would be no new staffing or money toward thepotential merger. The potential new money spent would be on a new location where the merged teams would be housed, which could cost tens of thousands of dollars, depending on what, if at all, the commission decides to do. Rodriguez said McAllen could set up its fire dispatch at the city’s police department, using four dispatchers. However, if commissioners want fire dispatch in a standalone building, Rodriguez recommended staffing five dispatchers.